If you're freaking out about the Twins rotation right now, that's understandable. The past week has brought a couple of seemingly grave developments. Ervin Santana will probably miss the first month of the season, and Minnesota has officially lost out in the Yu Darvish sweepstakes. No one could deny that the present layout of the rotation looks grim. But there are some silver linings at play here. First, let's talk about Santana. Losing your top starter for a chunk of the season hurts, there's no other way to slice it. 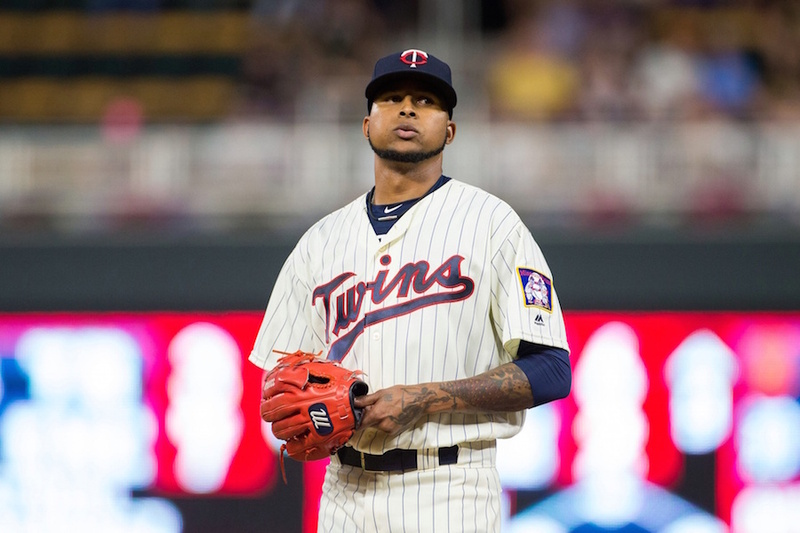 It's troubling to imagine where the Twins might have been at the end of May last year without Santana carrying the staff through the first two months, when he logged 77 innings with a 1.75 ERA over 11 starts. But here's the thing: Minnesota absolutely should NOT have been counting on the same impact in 2018. For a variety of reasons, Santana was all but certain to see regression this year. I've been banging that drum all offseason, and the recently released PECOTA projections from Baseball Prospectus express similar reservations, forecasting Erv for a 4.76 ERA and 1.41 WHIP. Even before this injury news came out, expecting the same Ervin Santana from 2017 to return in 2018 was folly. If the Twins held any such expectations (and their lack of urgency to add rotation help would seemingly suggest it), those are now out the door. Even if the right-hander rejoins the team after a relatively short absence, there's no assurance his surgically repaired middle finger will enable him to throw sliders with the same superior spin and command. Any diminishment for that pitch – easily the most critical in his arsenal – would be very bad news. The Twins have to recognize this risk, and it should theoretically increase their motivation to add another high-caliber starting pitcher. Also, the timing of Santana's missed time could be viewed as a hidden blessing. Some fans have expressed frustration that the issue wasn't dealt with surgically last fall, but getting it done ahead of spring training should minimize his lost regular-season time, and might even prove helpful in ways for him and the club. For a veteran player like Santana, spring training doesn't have much value. Obviously he needs to ramp up his pitch counts and prepare for the summer's workload, but as far as actually competing in games? He's just throwing hundreds of meaningless pitches, and taking away innings from younger players who have something to prove, and to gain. Now, Santana will rehab and ramp up on his own terms. The team's official statement asserts that the hurler's "expected return to Major League game activity is 10-12 weeks" from the date of the surgery. That phrasing is a little odd, but if we take it at face value, then the Twins anticipate having Santana back on the mound starting games before the first of May. Meanwhile, his innings in spring training can go to others, and Santana's well-traveled arm gets an extra break to open the campaign, potentially keeping him fresh later on. One final thing to note: Santana has a clause in his contract that would have guaranteed his $14 million salary in 2019 if he reached 200 innings this season. That was a possibility Twins decision-makers needed to account for in their planning, and it might've made them more hesitant to commit payroll for next year. Now, as it it will be virtually impossible for Santana to eclipse the 200 mark, Minnesota has a true team option for 2019, when he'll be 36. Of course, as mentioned above, the Twins absolutely do need to add at least one more starter to the mix. And sadly, the dream of Darvish has ended. The most coveted player on the free agent market finally found a home on Saturday, agreeing to terms with the Cubs on a six-year deal worth $125 million plus incentives. In terms of total money, that sure looks like a figure the Twins could have responsibly beat, leading to some familiar lamentations. But when you zoom out, and look at all that Chicago's contract for Darvish entails, you see an arrangement that is far from team-friendly. The Cubs are now committed to the righty through 2023. He'll be 37 when the pact expires. Although $21 million in annual salary is lower than most expected but it still becomes a hindrance quickly if he underperforms or battles injury. And those are legitimate apprehensions since Darvish is arguably a bigger long-term health risk than many of his peers. Darvish's huge pitch counts in Japan were a much-discussed topic when he initially came over to the States. As recently as last season, writers in Texas were noticing his workload – especially the heavy slider usage – and wondering if it was cause for concern. He was healthy and throwing hard last summer, quieting any serious alarm sirens, but Darvish was pretty clearly wearing down by the time the World Series rolled around. And the fact remains: he hasn't reached 190 innings since 2013. Darvish reportedly has an opt-out built into his deal after just two years, so if he does outperform his pay in 2018 and 2019, there's not really much upside for his team. He'd go back to the market in pursuit of more money and the Twins would be once again in search of a frontline starter to replace him, at the crux of their winning window. To be clear, I certainly wouldn't have been disappointed by any means if the Twins gave Darvish the same deal he got from Chicago, because in my mind the upfront benefit outweighs the overall downside. But I can't fault them for refusing to match it – and that's IF he'd have signed here on the very same terms, which... probably not. For all the consternation we're seeing right now, it's important to keep in mind that Minnesota still has plenty of options left on the table for addressing its rotation. They have money to spend and prospects to dangle in trade talks. They won't get a pitcher as good as Darvish, probably, but they can still find a decisive upgrade who gives them more flexibility. The combination of Darvish signing and finally setting a high-end market baseline, along with spring camps getting underway this week, should put things into motion quickly. These ought to be an interesting few days ahead before team workouts kick off in Ft. Myers on Wednesday. I shouldn't panic over missing Santana because he's not going to be that good? That's part of the good news? They have no number two, or three, starter right now. When should fans worry? If Darvish is worth more than 21 million the first two years, do we only count the latter years for judging the deal? I'm sure the Twins front office will make the best of it, but there is simply nothing good about losing out on the chance to hire the best starting pitcher available, nor about losing several starts this season from a guy you are counting on. All of the "blessing in disguise" kinds of outcomes could happen at the expense of pitchers further down the pecking order. If darvish opts out in 2 years there will be a QO attached to him. He didnt have that this time around. So the Cubs dont loose if he does. They just wont have to pay for the decline years.... genius. And yes the Twins could have beat those numbers and thought they could get a deal. Instead its the Cubs. And there are 2 parts that make this upsetting. 1. We heard all winter how he was their top priority. Then to find the Team was too cheap to be under expected market contract by 20 percent. 2. Darvish still signed a way below market value contract. Based on comps should have been closer to 160 million. And Darvish was the best option by far at our most critical need during our contention window. And we were still to cheap to step up. Won't those meaningless ST innings "that can now go to a young player that actually needs them" just go to some non-roster invitee that we've never heard of? I actually think the opt out would have been beneficial to us as well. I don't know if I agree with our FO on not allowing for that personally. If he's opting out, that likely means he out performed the contract and just gave us the following years back where the risk is much higher. With a nice stable of arms in AA/AAA, we would likely have a decent replacement in waiting. This gets us through the "wasting the prime of Buxton/Sano" concerns and let's the farm system replace him. Just my two cents. If the opt out was the reason he's not a Twin right now, then I think our FO didn't think it through. it should theoretically increase their motivation to add another high-caliber starting pitcher. Exactly what other high-caliber starting pitchers do you see available, because I don't see any. I don't know how Santana missing a big chunk of the season to keep him more well rested for a playoffs we probably won't reach is a good thing. None of this stuff is good. Nothing we have done in regards to our starting rotation this off season has been good. I'm not sure why you're basically writing a PR puff piece for the Twins when our starting rotation looks like one of the worst in the league even if we do add one of the available arms like Cobb. I’m sorry, but I just don’t see any way to view any part of Santana’s injury as a positive. None. Including the 2019 option vesting. Who here would’ve been opposed to 2/$42 for Darvish? That’s what you’d have if he opts out, and he’s not doing that unless he’s pitched well enough he’s confident he’ll get more than what’s left. And I don’t see how having him for two good years, and then losing him, is worse than not having him for those two good years in the first place. Yeah, IMO there was exactly one "high caliber" starting pitcher available in FA this year, and he's gone. I see a few mid caliber pitchers left. I actually think the opt out would have been beneficial to us as well. I don't know if I agree with our FO on not allowing for that personally. If he's opting out, that likely means he out performed the contract and just gave us the following years back where the risk is much higher. This is what upsets me so much over the FO's vocal disdain for the opt out. No one opts out of their contract if they just put up some garbage seasons. They opt out of their contract if they pitched spectacularly and they think they can get even more money. Everyone wishes they could get a great pitcher on a short contract with none of the fall off on the tail end, but instead our FO is out there saying how they aren't interested in even offering the opt out. It's one thing if you're trading a bunch of prospects for a guy with an opt out, but in this case we had absolutely nothing to lose in offering it, unless you consider possibly having to shop for a pitcher again in 2 years as a loss. What would lead you to believe this? When is the last time the Twins had this much quantity of MLB-ready (or extremely close) pitching prospects? If darvish opts out in 2 years there will be a QO attached to him. This is a good point I hadn't considered. As I said in the article, I'd have been fine with signing Darvish to the same deal he got from the Cubs. But it's not at all hard for me to say the downside. Opening Day? I don't think there have been any signals that the Twins are content to go forward with what they've got now. They WOULD, however, have to plan around the reality that if he doesn't opt out, it probably means they're stuck with a declining and not super-effective pitcher consuming ~20% of their payroll for four more years. What do you really need to plan for? If he pitches great in the first season and starts off the second season well, you start thinking, "well, decent chance he's going to opt out after this season, so lets start planning our options for if he does." If he doesn't pitch great, he's likely still better than any pitcher we have besides Berrios or Santana. Or you can go with option 3 where the Pohlads pocket that ~20% of payroll because its not like we're going to use that extra money to sign Kershaw next offseason, and the FA pitchers outside of him for next season are not impressive.